When the heat is on, you are covered. 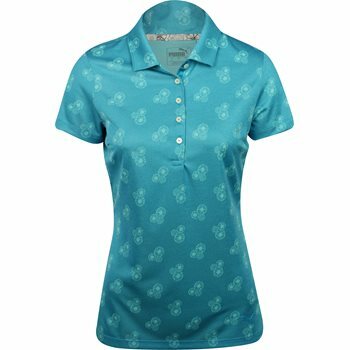 The Puma Burst Into Bloom polo offers moisture wicking technology that keeps the skin cool and dry when sweating occurs. The polo is made of polyester fabric that is machine washable, durable, and resistant to shrinking. So, wash and wear your Burst Into Bloom polo as much as you’d like. The polyester fabric is also wrinkle resistant for easy care. The polo features double knit construction, an all over subtle tonal floral jacquard pattern, and a Puma cat at the left hem.